If your RVing itinerary gets delayed because you’re waiting for a part to arrive, few places are better than Alpine, Texas. Well, in March, anyhow. And not during spring break. We’ll get to that in a moment, but meanwhile, the whole reason we moseyed on out to these rugged hinterlands is because of the 26th Annual Texas Cowboy Poetry Gathering, which happened during the last weekend in February. Three years ago we experienced the Festival for the first time and have been charmed ever since. 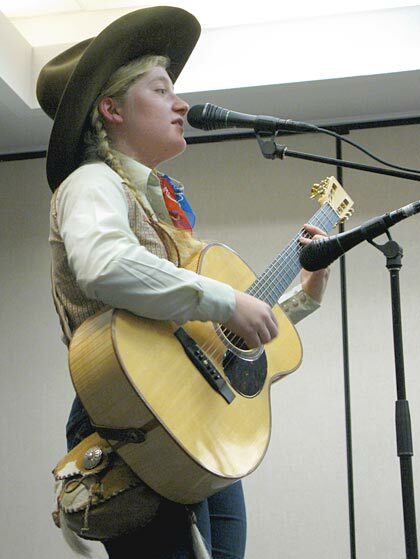 The Gathering is a two-day event packed with North America’s most talented and authentic working cowboy poets and folk musicians like Doris Daley, Gail Steiger and award-winning yodelers like Jill Jones. 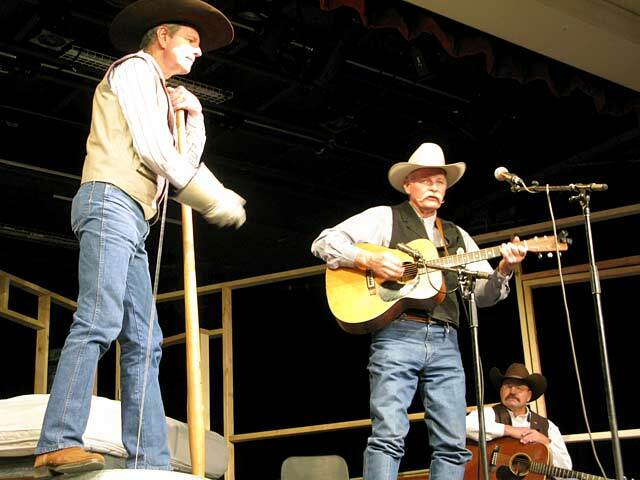 While Nevada’s National Cowboy Poetry Gathering is much larger in scale, we love this one because of it’s smaller size and more locally-focused, down-home feel. Many of the poets and musicians were born and raised in West Texas and spin fascinating tales and music about this region, it’s people and history. Best of all, it’s free! Donations are gladly appreciated of course, and the annual Trappings of Texas art auction is also one way the event is paid for. Her spoken word performance about her years as a ranch wife and mother was incredibly moving and inspiring. She’s only published one book so far, but her experiences back home on the range can fill volumes. 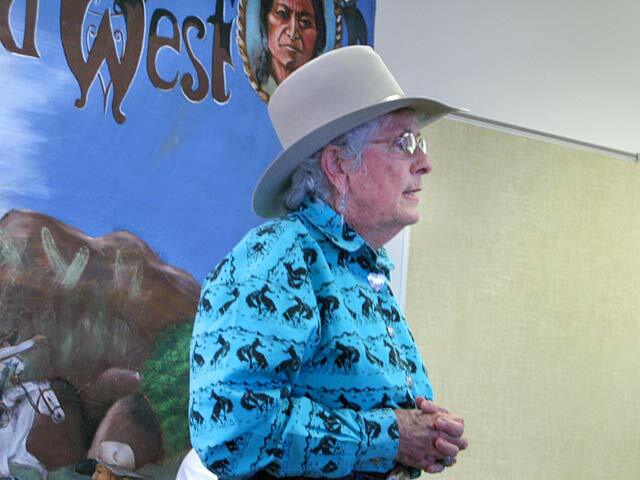 As my favorite performer of the Gathering, Carol’s narratives of living the cowgirl’s lifestyle with her husband of nearly 50 years were the most memorable of the weekend. From Oregon to Wyoming to Arizona, she and her husband Dan lived close to the land as ranchers, which resulted in volumes of richly spun stories and poems about their home on the range, her life as a cowgirl and the natural beauty that surrounded them wherever they ranched. Her intimate acquaintance with the job of ranch wife through so many decades of changing female roles in this country gave younger gals like me a glimpse of how much things have changed, as well as how much they haven’t. “There’s a whole lot of satisfaction in the way a cowboy lives, not the hard work and the danger, but the freedom that it gives. Carol’s husband passed away recently and although she originally thought that she would give up performing, there’s a whole new audience of young’uns like us who are so glad that she didn’t! She told me that her books are now out of print but maybe if we email her enough she will consider reprinting them? Yes, it was my idea to attend the Gathering again. And you have to hand it to Jim, who after two, eight-hour days of non-stop poetry and Western music performances, sat there alongside me without even a grumble or a complaint. He was bribed, however, with a fantastic Texas BBQ dinner that he got when it was over, at Alpine’s Cowboy Grill. If you’re prone to wanderin’ ways and the solitude of vast open spaces as we are, you owe it to yourself to check out the Gathering. If you do, be aware that local RV parks get booked up to a year in advance, so reserve a spot at the Lost Alaskan or BC Ranch early. It takes a pretty special event for us to make a reservation so far ahead, but once again we’re glad we did. Little did we know we would end up staying in this area for almost a month, but that’s a tale for next time! 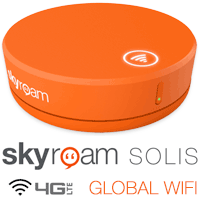 Good Sam not just for RVers anymore! What an awesome experience! Definitely adding this one to “the list”!